Dr Robert C Slater, primary care chiropractic physician has earned his public authority and respect by serving thousands of people over the past 37 years in providing skilled spinal and extremity adjustments, as well as supportive nutritional therapy. Chiropractic care does alleviate unwanted suffering as well as to promote healing and wellness. You as an individual seeking the best of care at his clinic will be a valued part of this confident tradition of integrity and helpfulness. Dr Robert C Slater DC remains in good standing with the Minnesota Board of Chiropractic Examiners. Dr Slater has achieved some of the highest levels of education accomplishments attainable in his professional life. Of the 70,200 odd DC’s in the USA, less than 200 have achieved Diplomate of Orthopedic credentials, which places him academically in the top 97% of his profession. Dr Robert C Slater is also an ordained minister for the past 20 years, serving the public within his profession as a trusted councilor when needed. In this regard, he is also there to help you and your loved ones through the Four Celebrations of life: Birth, Puberty, Marriage and Death. 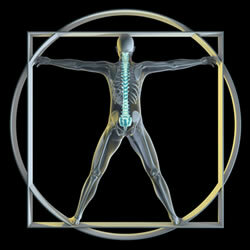 Life and vitality in all body tissues depends on fully energized spinal nervous system free from misalignment. Primary chiropractic health care integrates safe and gentle non-invasive techniques to bring normal alignment, balance and movement of all motion segments of the spinal column. Corrected alignment and balance encourages proper innervation of the body: from the brain, down the spine and out through spinal nerves into the body. Call Dr. Slater now at 651-699-3366 for your essential chiropractic care. A visit to our all-natural clinic starts with a friendly greeting from our staff and a consultation with our St. Paul, MN chiropractor - Dr. Robert C Slater DC. Depending on your current health and whether you have any existing injuries or subluxations, we will prescribe a chiropractic care plan centered on correction, maintenance or prevention. Our patients span all ages, and we are proud to offer chiropractic care to the entire family, from children to seniors. Dr. Slater also provides $50 DOT Physicals for CDL holders as required by the Department of Transportation. Please contact us if you would like to schedule a DOT Examination at your home or office in Saint Paul or Eden Prairie.